Hello beauties and handsome, remember I have shared few reviews related to collagen supplements? If you don’t, you can type the word “Collagen” in the search bar above and you will see the list of collagen products I have tried. 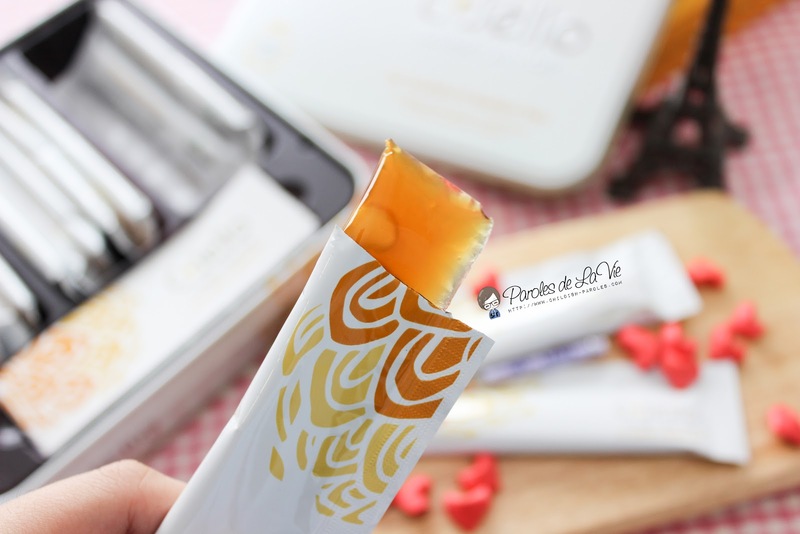 This time, I am going to introduce another collagen supplement I have tried recently – C-Jello Collagen Jelly Bar. C-Jello Collagen Jelly Bar is made from wild caught deep ocean fishes such as cos, haddock and pollock. It does not contain growth hormones and antibiotics. Besides, it is the first ever collagen jelly bar exclusively created in Korea and it was produced to deliver the most effective absorption and with ease of use in mind. 1. Delaying the ageing process caused by external factors such as UV rays, harmful free radicals, stress and pollution. 2. Restructuring of the skin’s collagen and its ability to retain skin’s firmness, elasticity and smoothness. 3. Stimulates the skin renewal process for a younger and more youthful appearance. 4. Reduction of fine lines and wrinkles. 5. 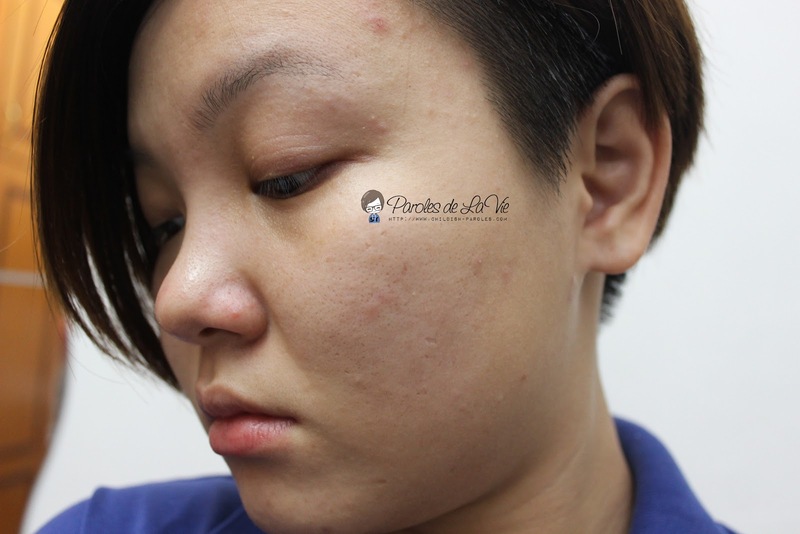 Lightening of dark spots for a brighter and fairer skin tone. 6. 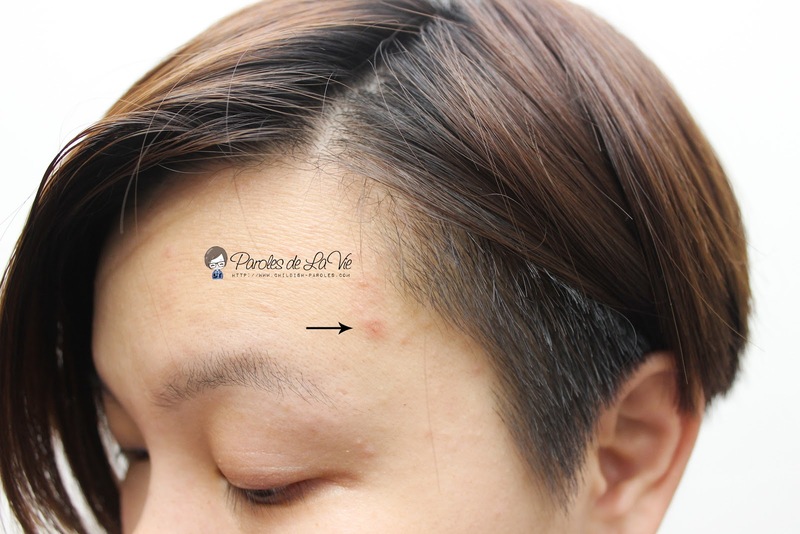 Improvement of the overall health and suppleness of the skin. Apart from that, C-Jello Collagen Jelly Bar is 100% natural collagen jelly. Most ingredients are fruits extracts. 9 powerful antioxidants are included in each of this delicious jelly bar. FYI, C-Jello Collagen Jelly Bar is packed in one box, which contains 15 jelly bars in each box. Consumer is recommended to take one sachet before meal, in the morning and at night. Guess what? 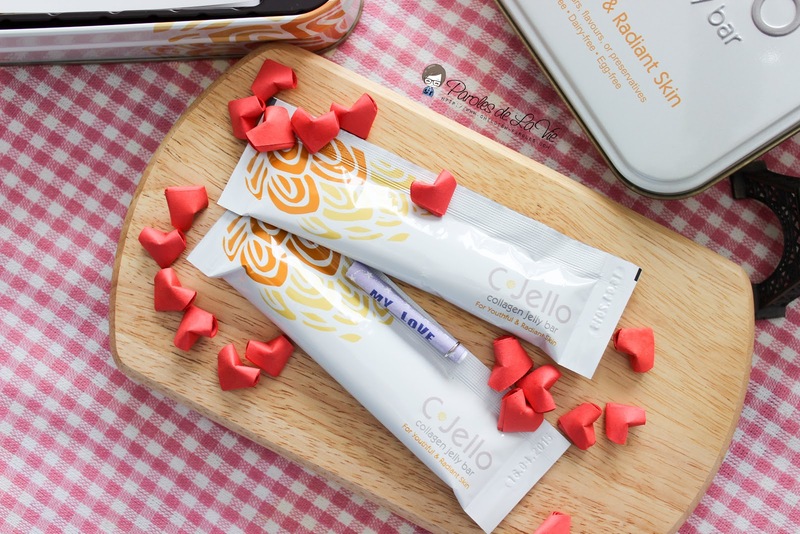 C-Jello Collagen Jelly Bar can also be consumed by children, one sachet per day. C-Jello promises to give changes within 14 days. So, I am starting to consume it now and let’s see the result after two weeks. Here are my “before” photos. As you can see, my skin was dull and new wound which was there three days ago. Hopefully, it can recover faster with the consumption of C-Jello Collagen Jelly Bar. I never tried to consume any kind of collagen. But I see, it does a lot of wonders. If these benefits are proven to be true, I will not think twice of getting myself one too. Will wait for your next update on this. Not really my thing, but it interests me to check out collagens. haha I'd check after 14 days then? How was it so far? The last time I visited a derma clinic, they informed me that I needed collagen because I've lost a lot after child birth (I'm not sure if they are telling the truth, lol) I've been experiencing sensitivity on my skin wherein even a slight scratch can become a rash. I wanted to try collagen but besides the fact that it is expensive, some says it doesn't taste good. I haven't heard of a collagen treatment that you can eat like candy. This looks promising. Hope it works out after the 14-day treatment. Nice sharing this topic but I think women will patronize this in the market. Scientifically-tested item like this is great. Collagen in jelly form — Very interesting. Now this is something I think I can try. I hope it works out for you. Wow this is an interesting find! I myself have been breaking out lately and I don't really know why! It's driving me crazy! Having good skin via a jello bar is such a tempting combination. It's really a great idea and I'm sure more people would utilize this. Collagen in jelly form is very interesting concept though i havent tried yet but think quite useful to take this way. I'm very careful with anything that needs to be orally taken as it has so many risks. What would work for others may not work for me so I'm very skeptical. But I would be looking forward your after promos. If its convincingly effective, I might I have issues with my skin (face) just like yours. This is interesting and seems to be a good find. I haven't heard about this before. Ok, I'm waiting to see your change! I think all these require long term consumption, but still, it's worth a try! nic ephoto you have!!! and the love shape fold! haha. lookign forward to your outcome 2 weeks later. It might cause by hormone. Still have the same issue now? The jelly form of collagen is so amazing. It makes it much easier to consume! Check out the review post. You will know it does work effectively! Check out the review post. It works great! Awwww… Every woman will start losing collagen in the age of 25. That's why we have to consume earlier so that we can prevent aging. Yeah, collagen is expensive and not tasty. But, it does help to keep us young. You're true. It might not work for anyone. But it is good to have a try. 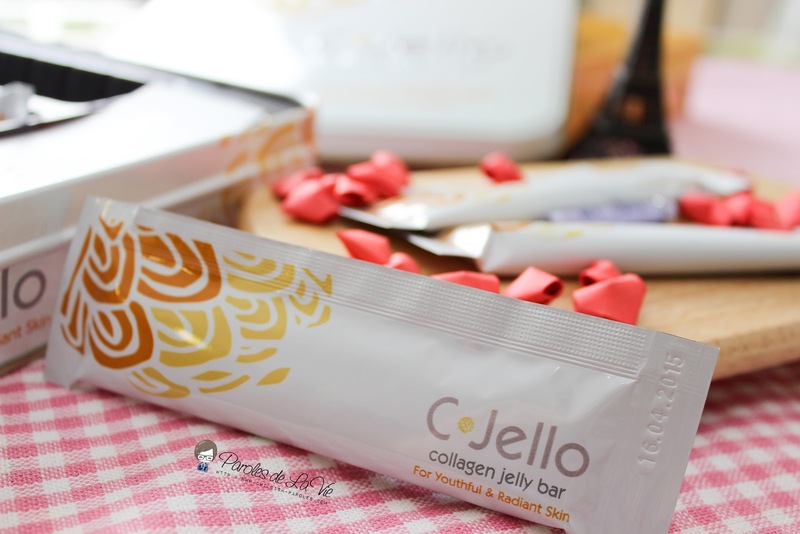 Jelly bar is really helpful to those doesn't like the taste of collagen. Yeah, because we lose collagen everyday. So, we need to consume in long term. This is quite new to me too. The first time I heard collagen in the jelly form. Thanks Maple. Review is up. Have you checked it?